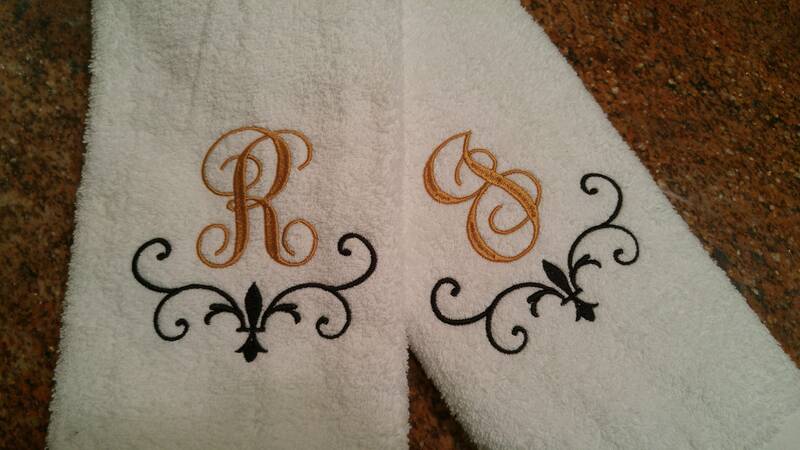 Hand towel towel featuring fleur de lis accent along with initial. 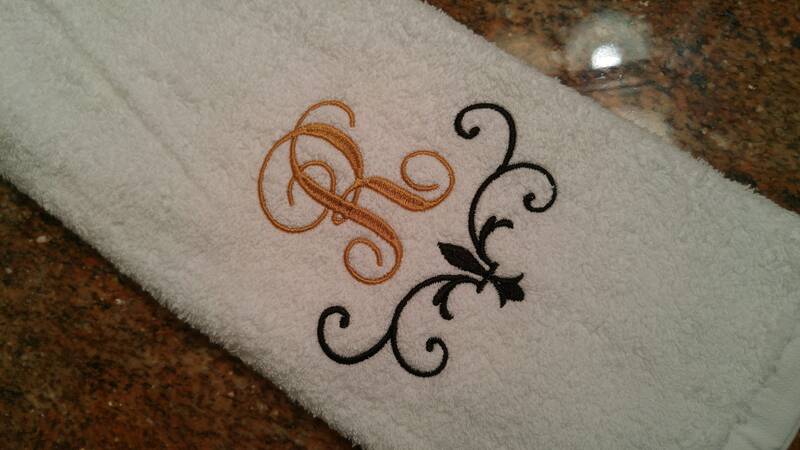 Customer selects embroidery colors at checkout. Customers can request either classic block font or script as in the listing picture. If you are interested in a 3 letter monogram, just sent a message and I will share options with you.